Chris Shovelin is on the move again. Coming out of Mombassa where he has been checking out the unsuspicious death of a millionaire's son in a scuba accident, he's made enough money to treat himself to a safari. But Danielle (call me Danny) recruits him to be her minder before leaving him on a safari trip. An international food conglomerate, playing Faustus with GM, aided by corrupt police, is forced to protect itself from the consequences of his unintended intrusion into its affairs. From a mugging in Nairobi, through meetings with lions and a Maasai warrior, to a truly scary escape from the sewer beneath Jomo Kenyatta International Airport, Shovelin faces beatings, corrupt police, shootings, wild elephants and a crazed killer who will not give up. 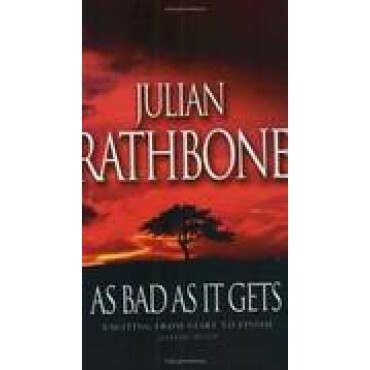 As Bad As It Gets is a more than worthy successor to Shovelin's acclaimed debut in Homage. This racy and entertaining thriller has an emotional and thought-provoking depth, which puts it miles ahead of the rest.